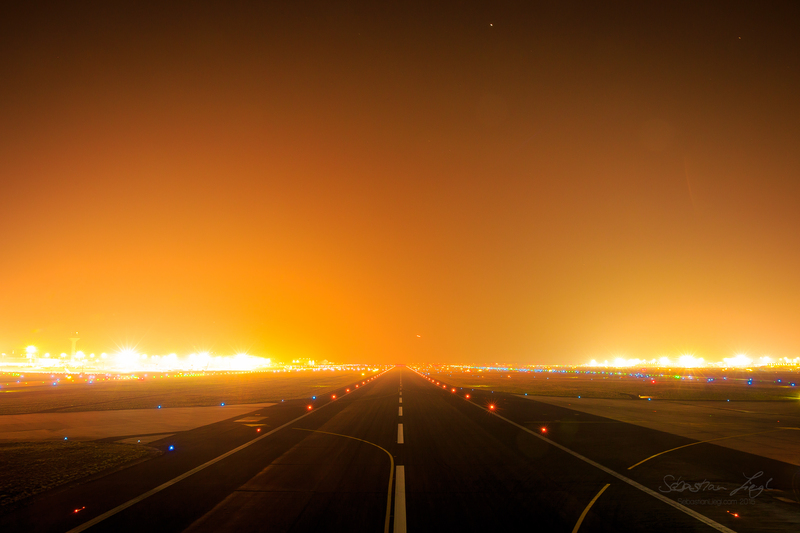 Foggy night on an airport. Closed over night. But able to get on the runway.